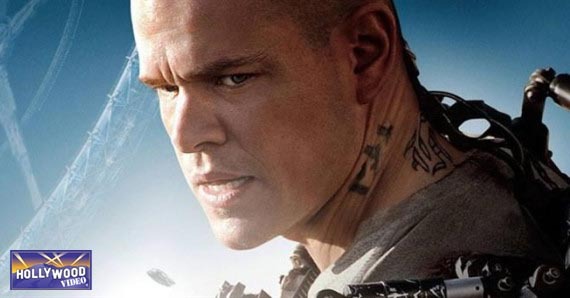 Sci-fi epic Elysium has topped the US box office in its first week of release! It’s the year 2154. 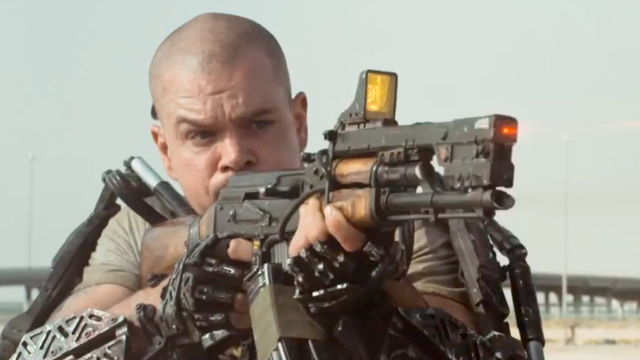 If you’re super-rich, you live on Elysium — a gorgeous space station where no one gets sick and everyone has everything they could ever need — and if you’re poor, you’re stuck on Earth, which is a garbage dump of despair, war and strife. The movie stars Matt Damon, Jodie Foster and Sharlto Copley, and it’s director Neill Blomkamp’s follow-up to his 2009 success, District 9. Where that film dealt with issues of race and discrimination — like a lot of sci-fi — Elysium is a more pointed statement on wealth disparity as it is in the world today. The top four out of five were in their first week of release (2 Guns was last week’s number one), and the biggest surprise is that the drug-trafficking comedy We’re the Millers — perhaps most remarkable because Jennifer Aniston does a strip tease — was so close to the number one spot, while animated feature Planes and Percy Jackson: Sea of Monsters were held further back as numbers three and four. Spoiler alert: They’re not at all The Millers. With the success this summer of animated features like Despicable Me 2 and Monsters University (though Turbo was a bit of a flop), the follow-up to Cars seemed like a shoo-in for number one its first week out. Planes will no doubt try to make up the difference on the back end, or perhaps like Elysium, try to fill out studio expectations in the international market. This entry was posted in The HV Blog and tagged 2 guns, elysium, percy jackson: sea of monsters, planes, we're the millers, weekend box office by summerm. Bookmark the permalink.